The first 16 floors of Mackenzie Tower will be an Alt+ Hotel by Groupe Germain. Thoughtfully designed, bright and comfortable, Groupe Germain’s Alt and Alt+ Hotels are a new concept in urban, sophisticated hotels. 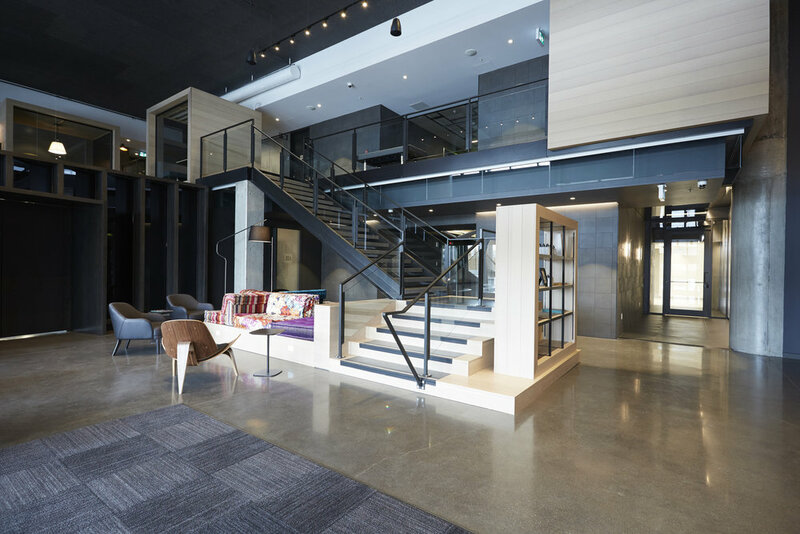 Residents at Mackenzie Tower will be able to take advantage of the Alt+’s lobby bar, or the shared work spaces on the mezzanine above. Both are the public face of the hotel. Get to be on personal terms with the bartender, or have a private client meeting overlooking 104th Street*. * The Alt+ work spaces are intended to be open to the public but Groupe Germain reserve the right to restrict access to guests of the hotel.